RAPHA (Hebrew): to repair, restore, make whole. Rapha is not just about healing… this journey is about becoming whole. God promises that He can bring lasting wholeness in every area of our lives, transforming us from our inner spirit outward. It is up to each of us to decide if we will partner with Him to become more of the true person we are created to be. If you have any questions or would like more information about Rapha, please contact us at rapha@journeyweb.net. Our Frequently Asked Questions are also helpful. Where: Holiday Inn Conference Center in West Yellowstone, MT. Cost: Varies depending on occupancy level. Please see registration link below for more details. Registration: Register online here, email rapha@journeyweb.net or call 406-922-0190. Hope is essential for healthy living – hope for our future, hope in relationship with God, hope for our family and friends, etc. From the earliest moments of life God intends we carry hope in our spirit and live in hope in relationship with others. Such hope is life-giving, resilient and gives us purpose and a future. Sadly for some of us hope seems fragile, inconsistent, or elusive. Perhaps others’ lack of hope is an assault we struggle to overcome, or we’ve picked up a despair that we just can’t shake off. Even when we do have hope, we might not have an understanding about how it works and how to respond when we mistrust others’ hopes. During this workshop we will ask how this God-breathed hope grows and how we can protect it. Instead of hope feeling mysterious, we will look at the way God intends hope to equip us, sustain us and be part of how we bless others. We will include Biblical, psychological and sociological perspectives that give you a new confidence for the foundation of hope in your life. Pastor Susan Williams will lead our weekend (with a guest appearance from Pastor Peter Holmes) along with our Rapha Women’s Leadership Team. The weekend will include good food and plenty of snacks, time to enjoy the local scenery near Yellowstone National Park, a Q&A ‘clinic’ for personal questions, opportunity for discussion and a time to meet the Lord together with communion and prayer for healing. Rapha is the Hebrew word for healing and wholeness. In our community we enjoy authentic relationships where its safe to be honest about where you are at. We share journeying together to pursue who God created us to be. We seek to reach out and welcome those who have need, whether historic or current. We share a meal, worship, testimonies of God breaking through and have a devotional. We are kid-friendly, and welcome those who aren’t in a current relationship with the Lord. Some of our community also meet in groups during the week to journey together. We meet primarily at 4566 Cascade Street in Bozeman one Friday per month at 6pm. We keep people updated on the exact date and location each month by email. 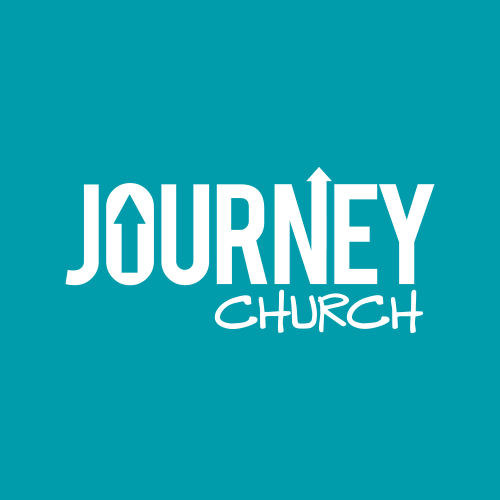 If you are interested in getting on our email list, please contact Jeni at jeni.jacques@journeyweb.net or 406-577-1740. Friday, April 5th at Connie Summers’ home [4566 Cascade Ave in Bozeman]. The Morrisby Assessment is a UK-based psychometric assessment to discover what your natural talents and gifts are. It will suggest education and career options, and help you get to know yourself more. If you are interested in attending the next assessment or would like more details, email Jeni at jeni.jacques@raphajourney.com. Join us the first Thursday of each month from 6:30-8:30pm at The Commons where the Rapha Women’s Leadership Team will be creating space for us to meet each other and meet with God. The focus of our evening varies. You can expect a mixture that might include: testimonies, worship, fellowship, table discussions, Q&A panels, reflective time with God, etc. We focus on encouraging authentic relationships, talking honestly together, and sharing tools for journeying into greater wholeness and deeper relationship with God. If you have not been to a Rapha event this is the perfect place for you to come and meet those who are part of this ministry. All women are welcome! Our next Women’s Evening is Thursday, April 4th. Ladies, if you are wanting some help on your discipleship journey or want to see what it’s all about, this is a great place for you. On Monday, March 11th from 6:30-9pm at The Commons, Susan will be available to help you if you are feeling stuck or need some help with a piece of homework. If you don’t have a question but want to come, you are welcome too. There’s always a lot of learning that goes on! Join us every Tuesday morning at 6:15am at The Commons for a weekly prayer meeting. All men are welcome! If you are wanting some help on your discipleship journey or want to see what a Rapha Journey can look like, this is a great place for you! This evening is an open forum for men to come as you are. There is no pressure to come with an issue/question/agenda… you are very welcome to simply join us.